For some reason, meatballs have became a joke in our house. More specifically, demanding meatballs. A few months ago, the bf was hungry and we were both lazy and watching tv, and he told me to get up and make him meatballs. Pretty sure it was also about 11pm, and there was no way I was being ordered to make anything, aside from the fact that I don’t exactly take orders! Plus, he was completely joking. Except about having an intense craving for them. But it meant that he kept thinking about them for weeks, and kept wanting to get them for dinner, and I finally decided to be nice and surprised him with making them (for the first time ever) on one of my days off. The first batch were a combination of turkey and pork, and they were amazing. 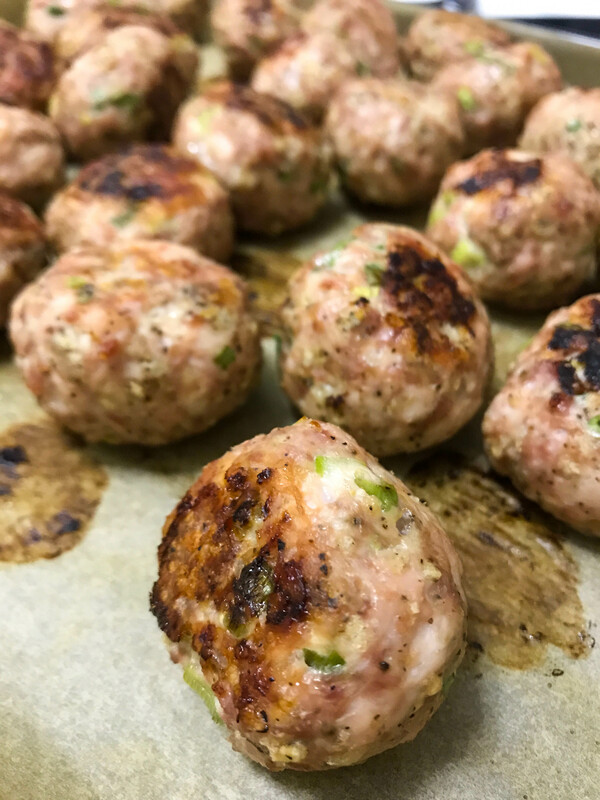 I now usually make them with just turkey (half light, half dark), but still love the added pork too. It keeps them a little juicier with the added fat content, but then again that’s part of why I try to go with the all turkey version regularly. When I finally caved, I of course spent a large chunk of the day browsing recipes online to get inspiration. 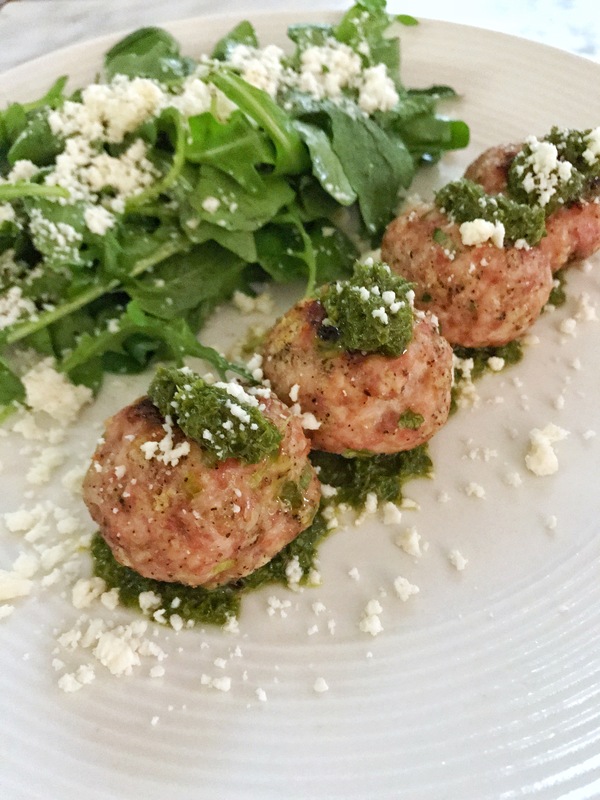 What finally got me excited was seeing this one from Jo Cismaru of Jo Cooks, who dressed hers with chimichurri and feta. How could I go wrong with one of my favorite sauces? I personally make my chimichurri sauce a little differently, I like it with a far higher parsley to liquid content, but that’s partly because if I made it with more liquid and ate it in the quantities I want to, it would be way too much oil at once for me to feel that good about consuming! But that’s such a matter of personal taste, so definitely play around with the proportions until it becomes what you want to eat. I like mine baked, but you could fry them if you prefer. They'd also be fantastic with tomato sauce, basil, and marinara, or really anything else you want as toppings! Step 1 Combine all the ingredients in a large bowl. Step 2 Mix until well combined, and mix it well! Don’t hurry this part. Step 3 Form into 1″ sized balls. I use a spoon to scoop the mixture into a ball, and finish forming it with my hand. It should be pretty smoothly formed. Step 4 Place the meatballs onto a baking sheet lined with parchment paper. Clean up is soooo much easier this way! But they can also just be placed directly on the baking sheet if you prefer. Step 5 Bake at 400 for 20-25 minutes, turning them over halfway through. Step 6 Top with chimichurri and feta, tomato sauce and mozzarella, or other dressings of choice, and enjoy! I am slightly obsessed with chimichurri. It’s great on just about everything, and it’s so simple to make. Just throw everything into a blender or food processor, and blend away. It’s one of those things that takes a lot of taste-testing, so try it regularly and adjust it so suit your preferences. Add more liquid to get it to the consistency your like, more acid to balance the oil and brighten it up (I use vinegar, but a bit of lemon juice is good too), and a bit salt to bring out all the flavors. 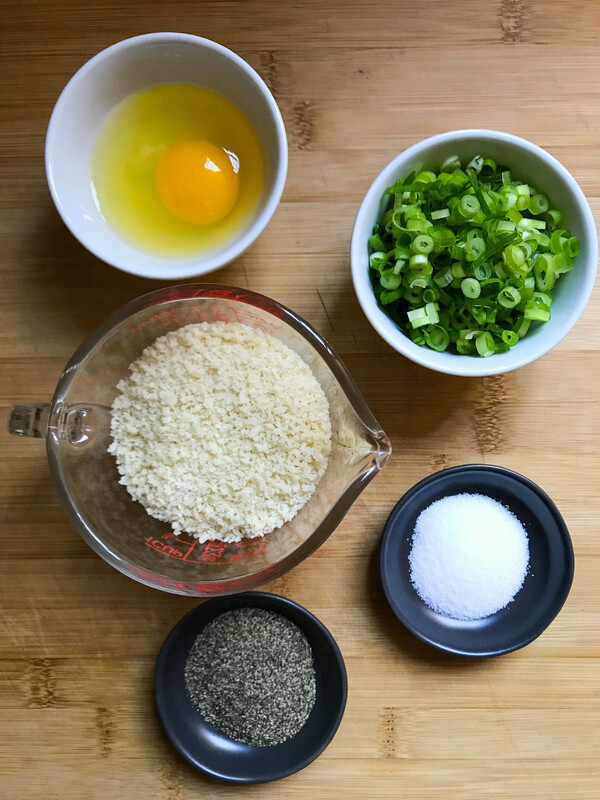 Some people like cilantro in addition to the parsley, but I’ve never been happy with it when I’ve done made it that way, I find that the more simple it is, the better I like it. I'd happily eat this by itself with a spoon. It's amazing on steak, over eggs, on toast...the list goes on. 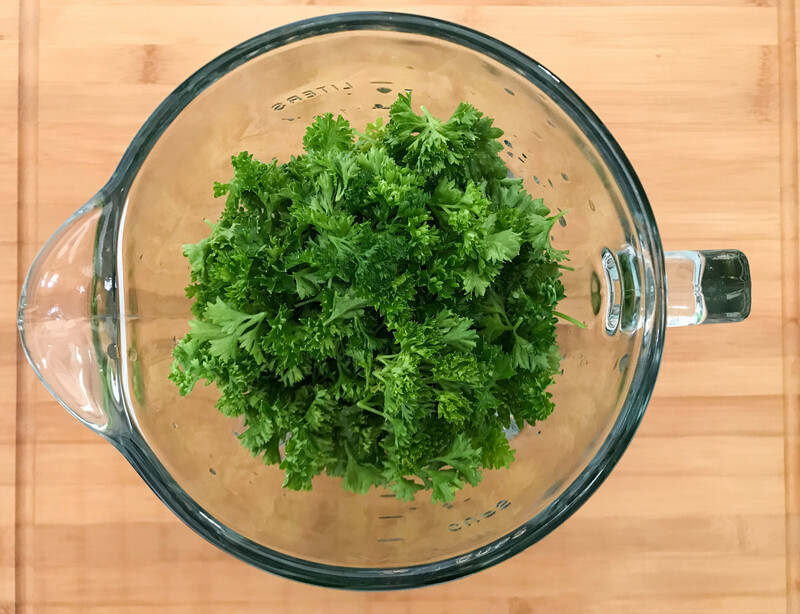 Step 1 In a blender or food processor (I often use my immersion blender if i’m making a smaller batch), chop up the parsley until fine. Step 2 Pour in the liquids until you like the consistency. Step 3 Add salt and pepper, a dash of crushed red pepper. Step 4 Taste, and adjust it as necessary. I usually find that I need to add more salt and more vinegar, but I’d always rather start with too little and need to add more, than feel like it’s being overpowered! We got to spend this past weekend up in Maine seeing one of my best and oldest friends marry the love of her life, so were away from our garden for a week. 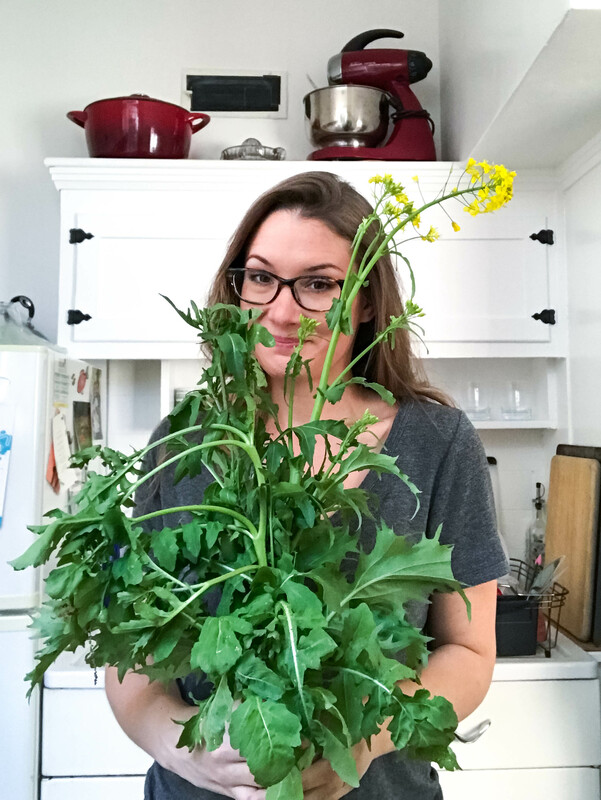 I got the chance to check on it yesterday, and our arugula and other lettuces went insane! Since I clearly had plenty of it, I did a simple arugula salad on the side, which I love and always dress with just lemon juice, olive oil, and a bit of salt. In this case, also with crumbled feta. So many deliciously peppery leaves! I can’t wait for the rest of our lovely plants to grow big enough for us to eat. I love cherries, and always buy a big bag of them (when I see them for a good price), but I’m horrible about actually finishing them! It’s so sad to have to throw them out because I was forgetful and let them go bad. Such a waste of something so delicious, and that’s really just such a shame. Plus, since my boyfriend is allergic to them but also loves them, it’s a little bit mean to have them around. Doesn’t mean I won’t buy them, because come on, I’m going to buy them if I want them, but I do try not to fill the fridge with foods that he can’t eat. I bought a whole bunch the other day, and decided that I for once wasn’t going to waste so many of them. Memorial Day weekend in Boston was grey and a bit chilly, so what better than a deliciously warm crisp for breakfast? It’s my favorite way to use up large amounts of fruit at once, and I will regularly wait until the fruits are going almost past wanting to eat them raw. Once they’re baked, the texture changes anyway, and they’re often a bit sweeter naturally so I really don’t even need to add extra sugar to the filling. I will never not want to eat this, pretty much any time of day. 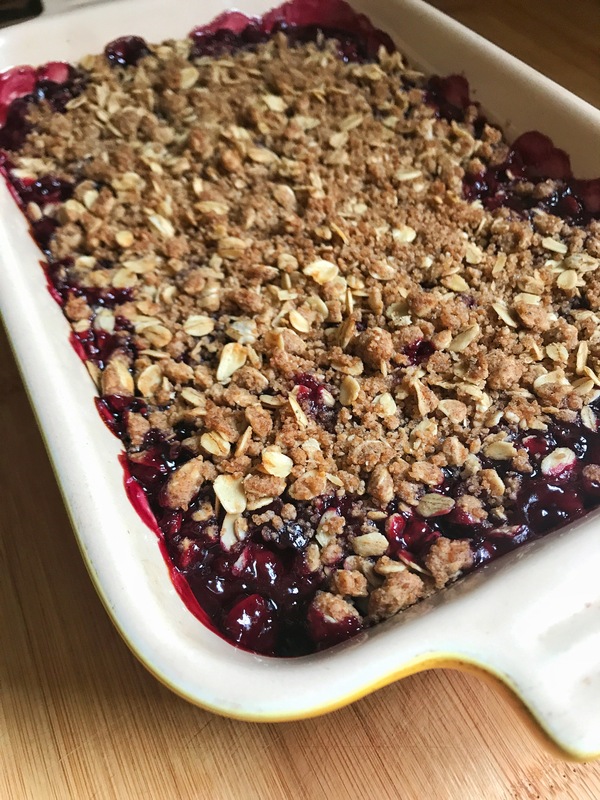 It’s not very sweet with added sugar, I can pretend I’m being the tiniest bit healthy because I’m eating lots of fruit, and honestly does anything beat warm fruit with a sweet, lightly spiced crumble topping? It’s amazing with ice cream on top, or with yogurt if you want to feel a little less guilty. Basically, it’s just amazing. 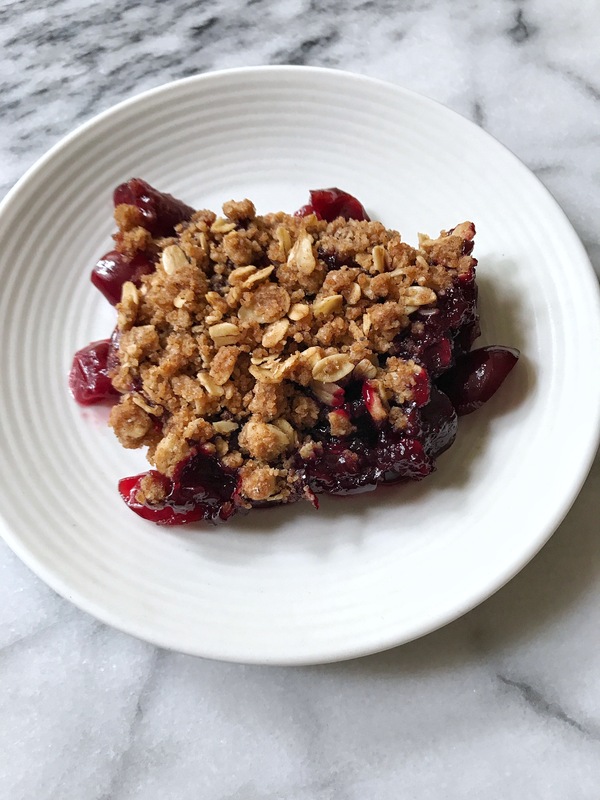 Is there anything better than a warm fruit crisp, fresh out of the oven? Easy to throw together, easy to modify, and always delicious! The cherries can be substituted for almost any other fruit you'd prefer, and the orange can always be substituted for lemon. 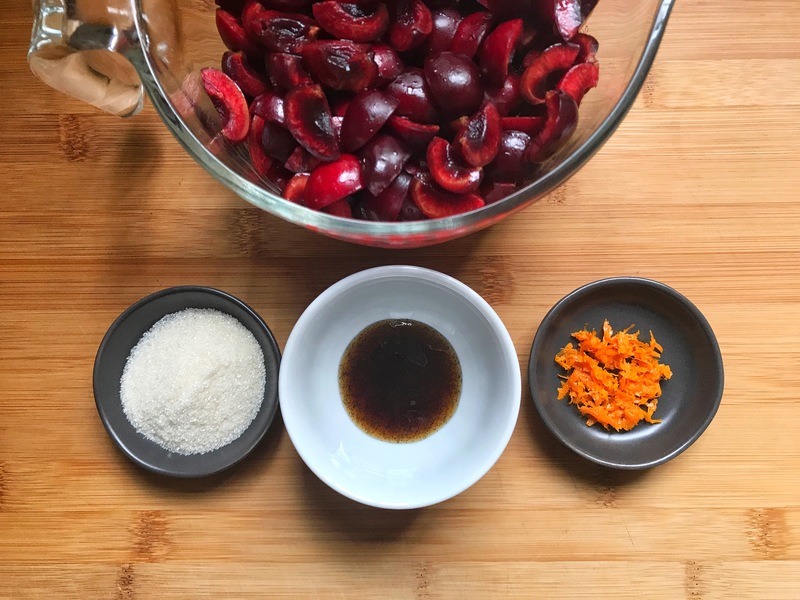 Step 1 Mix the cherries with the sugar, zest, and vanilla, and spread evenly in a heavy baking dish. I use a rectangular Le Creuset baking dish. 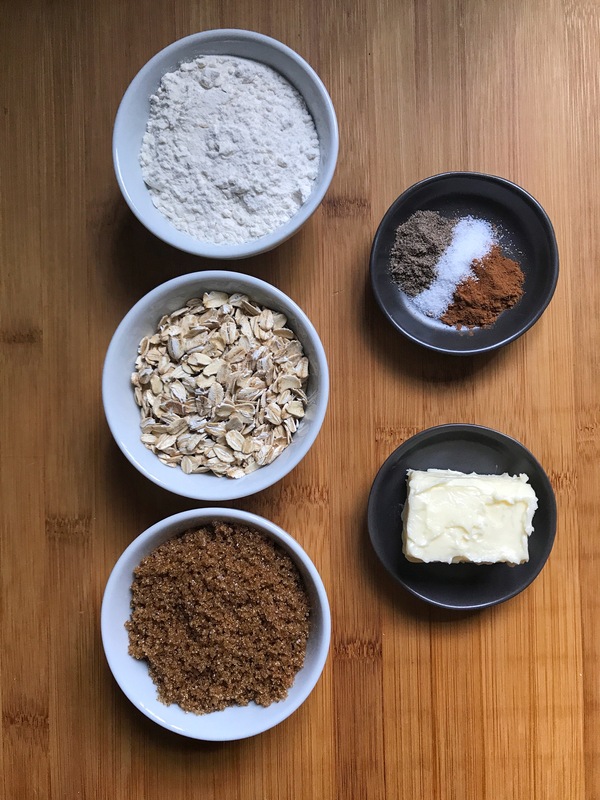 Step 2 In a separate bowl, combine the flour, oats, sugar, and spices. Step 3 Add the butter, and mix with your fingers until it becomes a crumb texture. It will be all over your fingers, and you’ll be able to squish it all into a large ball, but try to keep it clumpy and crumby. Step 4 Sprinkle the topping evenly over the cherries. Step 5 Bake at 400 for 45 minutes, or until the topping is golden brown and crispy, and the cherries are bubbling up at the sides. Step 6 *I always put a baking sheet on the rack below the crisp, just in case it does bubble over the sides.